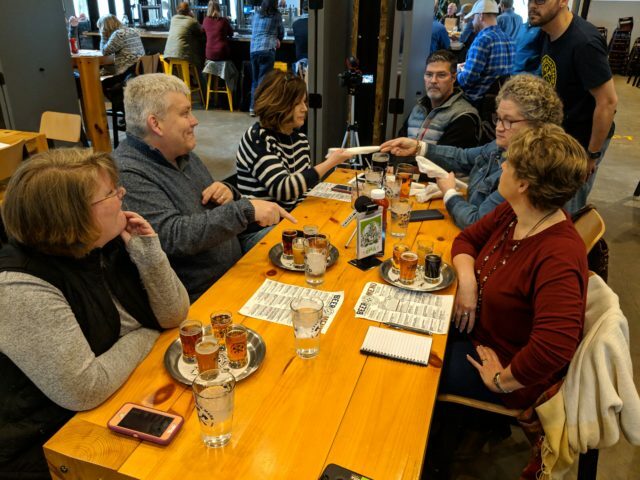 Out of good fun, good people, and good conversation–grows good business. It is the power of connection, and really getting to know and care about the people you work with. 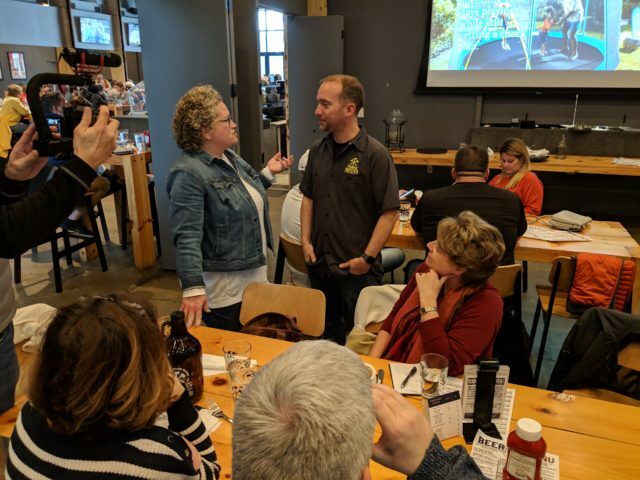 Boomer Connections was lucky enough to get invited to connect and talk about what we do when I joined the Front Porch Fridays crew for its very first road show. (Watch video here.) FPF is a Richmond-based video blog that focuses on Community with a Capital C. Developed and led by Vicki Coleman, a Richmond Realtor, the show features local inspiring businesses and individuals and–much like on the front porches of our childhood–conversation and connections happen. What a great idea! And who knows the community better than a Realtor? 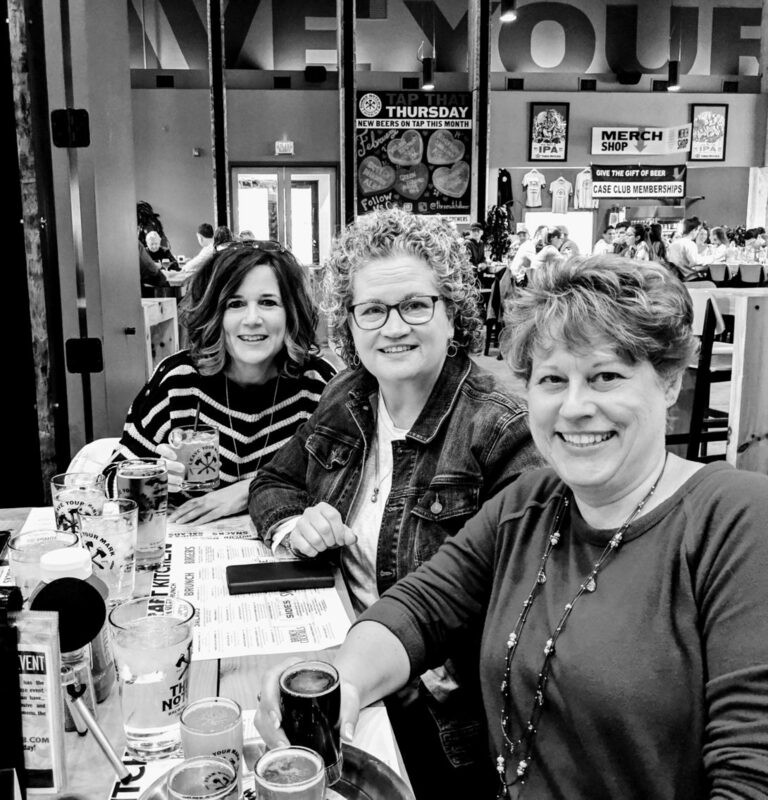 At Boomer Connections, we love this venue because its mission is perfectly aligned with our own. 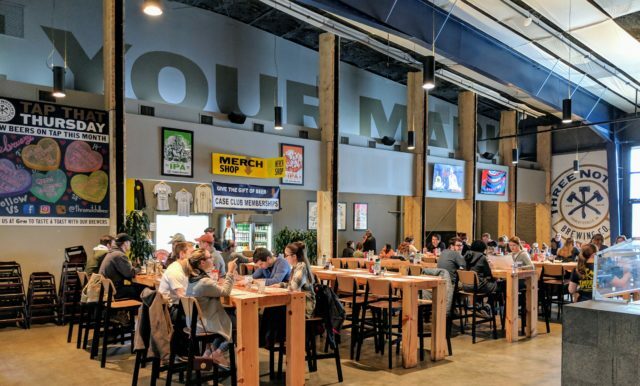 So, on a recent rainy Saturday, we took the show on the road, heading to Charlottesville to check out the hopping (pun intended) local brewery scene. We love our wonderful city of Richmond, but there is a lot to love about C-ville as well. We love wine. And we love beer. And it seems we love pie as well. We also all feel strongly about supporting local businesses. 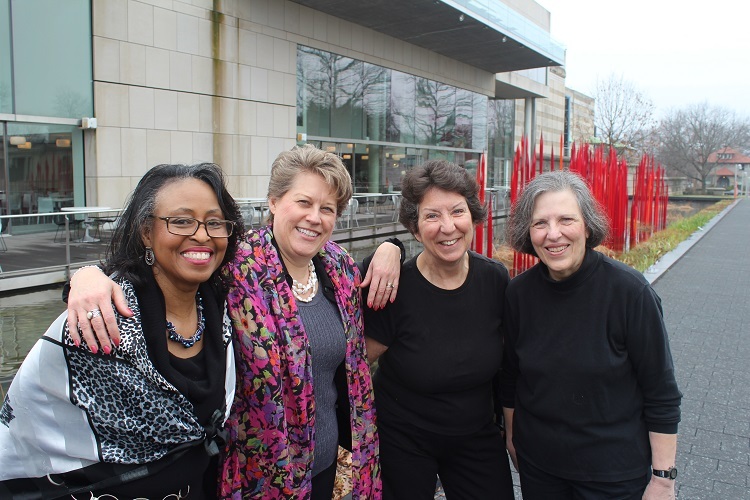 Our group came together that day through shared membership in an incredible networking organization called Synapse, which promotes business networking and entrepreneurship, while also sponsoring and supporting non-profits. Here is how it went down. 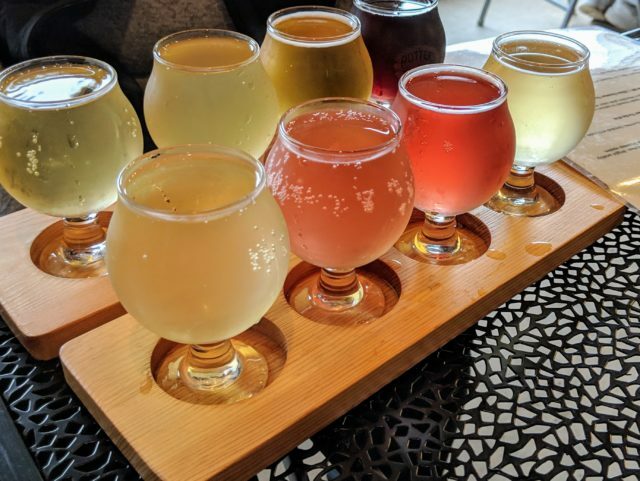 We checked in first at Three Notch’d Brewing Company in Charlottesville and sampled their offerings of both food and drink, and then headed to a place called Potters to enjoy more deliciousness in the form of craft cider. And guess what, across the street was a pie shop—Quality Pie! 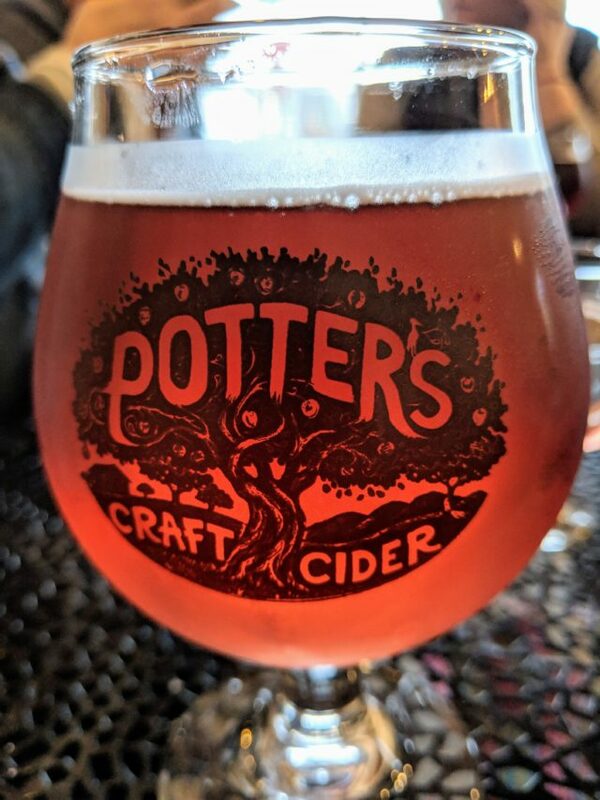 We sent Rob over to ferret out the best desserts and were delighted to find that they paired quite excellently with craft cider. Jacks Java Espresso Stout: as the name implies, infused with coffee beans. This was an experimental tasting, I was a little dubious, but ended up really liking it. 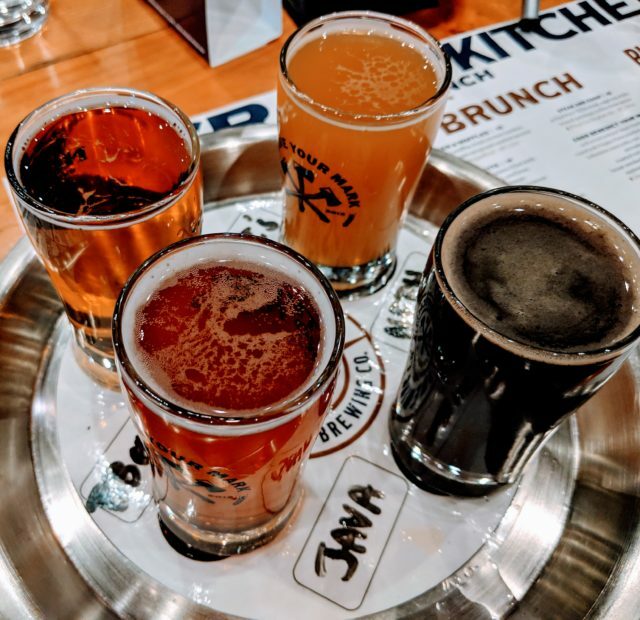 Our friend Jimmy had his own flight and specifically recommends “Scotch Beerdsley” Scotch Ale–as our friend loves his scotch, a logical choice! Cherry Vanilla: made with both sweet and tart cherries and vanilla beans—as good as it sounds and very pretty in the glass. Haven: Belgian style, slightly tart, made to raise money for The Haven, a local homeless shelter. Perry: made with wild pears foraged from a local farm. I seriously want to be friends with these owners so I can go foraging for wild pears! Intriguing right? 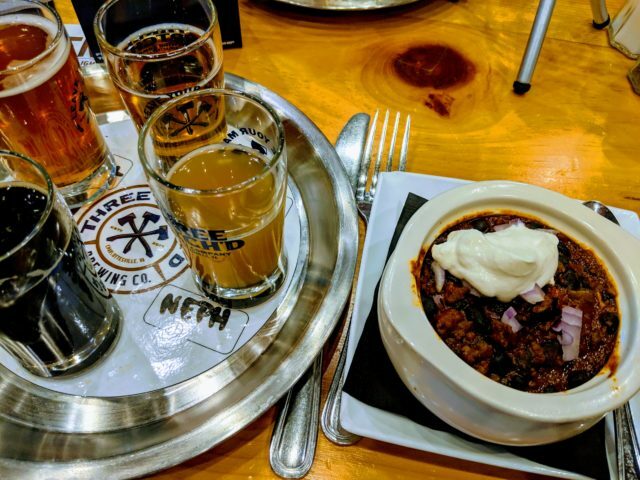 Just as with wine and beer, there are so many nuances of flavor, it was a real adventure and I absolutely loved it, trying something new. And now, Pie! Conveniently situated cattycorner to Potters was Quality Pie, which offers both sweet and savory pies. 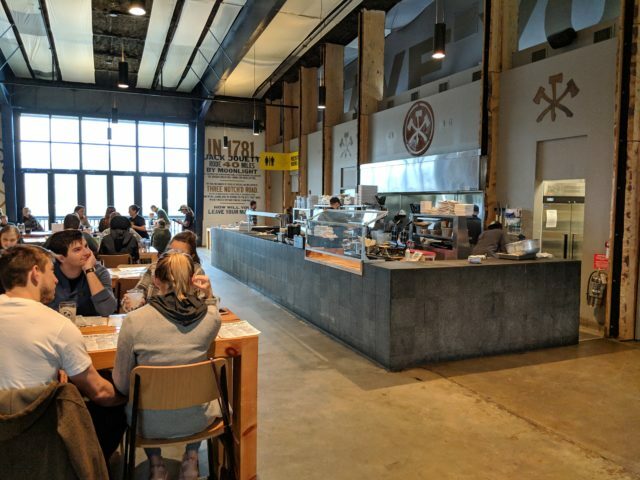 The place is popular, and they serve breakfast in a college town—so by the time we arrived Saturday afternoon, some of the flavors were sold out. 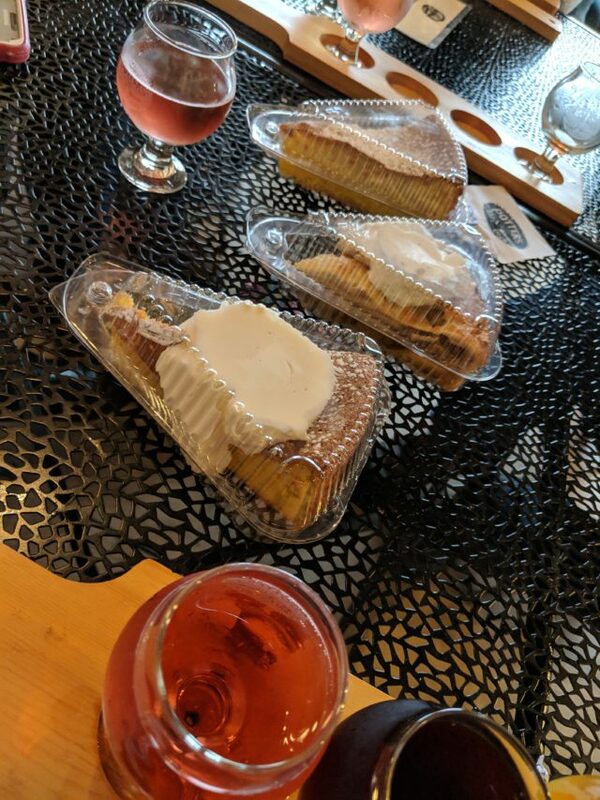 But what did remain, our very favorite, was the pound cake—a dense vanilla flavor that paired so very nicely with all of the ciders. But the other pies—strawberry rhubarb and apple, were also standouts. Front Porch Fridays inspires great conversation because its heart is in the right place. I got the chance to talk about our vision here at www.BoomerConnections.com and why we feel so strongly that as we age, we stay connected, stay engaged, and enjoy the heck out of the ride. The Company: I was in good company that Saturday with my fellow Synapse colleagues and some of their spouses. Our crew included founder Vicki Coleman and her husband Marty, who handled audio and video. As mentioned, Vickie is a Realtor, she is with ExP Realty. Marty is a chaplain and founder of a company called CoCare. Also on board were Jimmy Comer and his wife Amy. Jimmy works with Relationship Business & Insurance Services but also spends untold hours helping non-profits and serving on numerous Boards–he is like Superman! Another fellow Synapse member was Kim Hicks, who works in TowneFirst Mortgage Financial Service and also supports the non-profit community. And, of course, my husband Rob. Good people all. 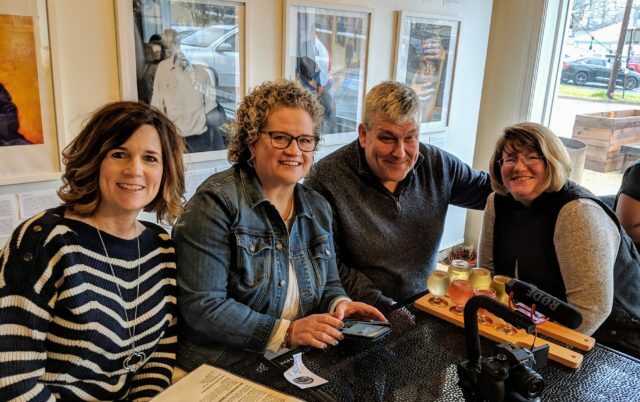 The wrap up: check out Front Porch Fridays, check out Charlottesville–and make new friends wherever you go!